The First Session of the 7th Parliament has drawn to a close. The session, being the first year of the seventh parliament has been eventful both in the legislation and in deliberation as well as oversight. The beginning of the year saw the swearing in a new Speaker, the Rt. Hon. Aaron Mike Oquaye and his two Deputies Hon. Joseph Osei Owusu as First Deputy Speaker and Hon Alban Bagbin as Second Deputy Speaker. Having won the 2016 Presidential Elections, the NPP became the Majority of the House with a total of one hundred and sixty nine (169) Seats, the NDC now in the minority with one hundred and six (106) seats. Out of the two hundred and seventy five Members, only thirty six are female. Hon. Osei Kyei Mensah Bonsu, Majority Leader. Hon. Comfort Dooyoe Ghansah Second. Members were assigned to various Standing and Select Committees of the House. 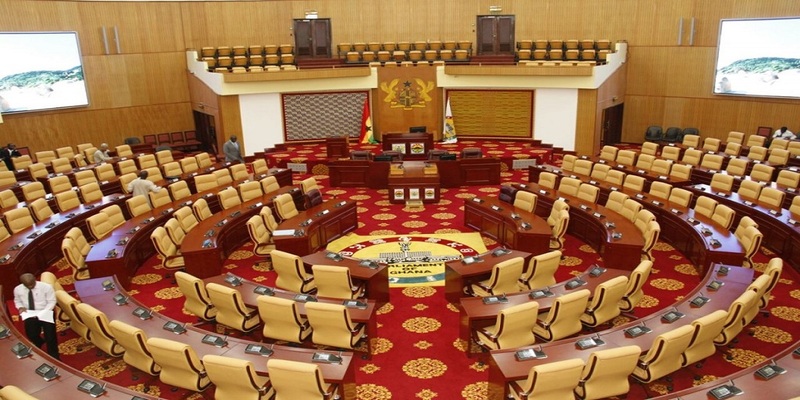 The newly elected members were taken through a series of orientation courses on how parliament functions and the various protocols that need to be observed both in and out of the House. The Appointments Committee, as per the Constitutional provision that mandates Parliament to vet presidential nominees to ministerial positions, sat in public to vet the nominees. Allegations of corruption against some members of the Committee led to the establishment of an Adhoc Privileges Committee to hear the matter and to make recommendations. The Public accounts Committee also held Public hearings. There are plans to open up more committees for public participation through media coverages. In consonance with its core duties, the House passed a number of legislations. Key among them is the Office of the Special Prosecutor Bill , 2017, the Zongo Development Fund Bill, 2017, Northern Development Authority Bill, 2017, Middle Belt Development Authority Bill, 2017and the Major Mahama Bill, 2017. In all a total of ninety eight Legislative Instruments (Lis) were passed. About thirteen Bills were passed. Issues of national interests were discussed and sometimes arguments on same were heated, with either sides, taking entrenched positions. The outcomes of debates are determined through either voice r head counts supervised by the Speaker and the Clerks at table in the Chamber. As is customary, budget estimates for the year 2018 were presented by the finance minister in Novemenber and the appropriation Bill was passed in the third meeting. Of course, there was the usual post budget workshop, this time, held in the eastern region to throw more light on the various provisions in the budget. The Speaker’s Breakfast Forum, which hasn’t been held since the 4th parliament was hosted by Speaker Oquaye on the 13th of November. It brought together, policy formulators, Civil Society organizations, Leaders and Members of Parliament. Extensive discussions were had on onshore mining and its effect on the ordinary Ghanaian. Other innovations are the introduction of the Private Members’ Bill being championed by the Speaker as well as the setting up of a Legal Department. The Seventh Parliament has as one of its main, objective, an aim of taking parliament closer to the people. In that regard, a number of outreach programmes were held in most of the tertiary institutions, key among which is the inauguration of the 7th Parliament of the Accra technical university and the reinvigoration of the club at the Koforidua Technical University. An MPs’ Outreach Programme was held at Bekwai in the Ashnati region. The event brought together over two thousand participants, mainly citizens who tabled their concerns and expectations of the Legislature. A subsequent one is scheduled for the next meeting. The house is expected to resume for the next meeting in January.